The BC Search and Rescue association undertakes various projects on behalf of the BC SAR community. Some of these are designed to improve safety and communications, others involve standards and training. The pages below show some of the projects underway at BCSARA. 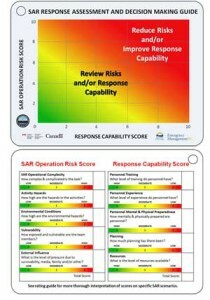 The Search and Rescue Support Model is a multi year project led by BCSARA in its capacity as representatives of the search and rescue stakeholders in BC to the provincial government. Building on the work completed in the Levelling the Playing Field workshops, the project aims to secure long term stable funding for Search and Rescue in BC, and to replace the current high administrative cost system of applying for funds on a per-project basis. The Response Assessment and Decision Making Support tool and framework was the result of a multi-year New Initiatives Fund grant to develop and risk assessment tool specifically for Search and Rescue. The tool comes with apps for mobile devices, desktop applications, and an online version that can be run from any device. 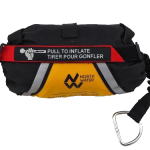 A project to update the rope rescue program for British Columbia SAR groups, which was developed in the 1980s and 1990s and has not been significantly updated since 2002. A project to provide support Swiftwater Rescue re-certification courses to assist teams and their volunteers meet the new standards adopted in B.C. as part of the joint Health and Safety Program with the Province. Also resulted in the development of the Rapid Survival System. A 3 year project under the Search and Rescue New Initiatives Fund (SAR-NIF) to establish a sophisticated provincial on-line database.